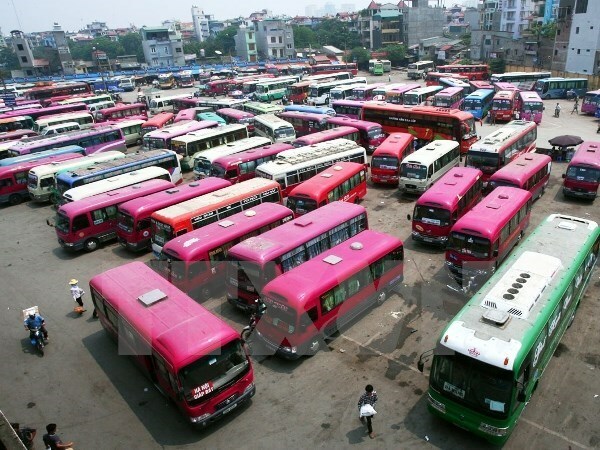 HA NOI (VNS) — The Ha Noi Bus Station Joint Stock Company will deploy an additional 700 buses and coaches to better serve demand from passengers during an upcoming six-day holiday. The holiday includes the Hung King anniversary (April 28), the National Reunification Day (April 30) and May Day (May 1). The company's Director, Nguyen Tung Anh, said the number of passengers travelling from Ha Noi to the localities of Thanh Hoa, Nghe An, Thai Binh, Nam Dinh, Ninh Binh, Dien Bien and Quang Ninh was estimated to surge, compared with other localities.